Gone are the days of stagnant display promotions and pay-per-clicks because there’s a new type of advertising in town: social media advertising. Let’s face it: everyone is on social media these days. Whether you’re liking something on Facebook, retweeting a blurb on Twitter, or connecting with a colleague on LinkedIn – marketing gurus are learning where and how to reach the modern day client. These ultra-popular social platforms are thriving in today’s economy because they offer up a hearty dose of companionship, the opportunity to obtain new job opportunities, help you connect with new and old friends, and more. It makes sense then that advertisers would want to reach new leads where they live – quite literally. Plus, with more buyers being mobile these days, connection can happen via laptop, home computer and/or cell phones and tablets. It’s only been 10 years since Facebook launched its first target audience advertising option, but in that short time alone, social media advertising revenue has been estimated at $8.4 billion. Unlike the banner ad, social media advertising is an effective way to collect a fair amount of user information, demographic and geographic data, behavioral, and connection-based targeting methods with the click of a button. Below are four examples of how social media personalization can help generate a solid lead for your company. Interest targeting: Reach specific audiences by looking at their self-reported interests, activities, skills, pages/users they have engaged with, etc. Interest targeting is often related to keyword targeting, so some platforms will allow you to enter both. Behavioral/Connection targeting: With behavioral targeting, you can reach people based on purchase behaviors or intents and/or device usage. With connection targeting, you can reach people who have a specific kind of connection to your page, app, group, or event. Both types of targeting take past behavior into account to help you determine intent. Custom targeting: Reach audiences by uploading a list of email addresses, phone numbers, users IDs, or usernames. Facebook calls its custom targeting Custom Audiences, while Twitter calls its own Tailored Audiences. They’re largely based on the same concept: if you have a known group of people you’d like to target, you can simply upload them and target them directly. To avoid ad fatigue on social media platforms, HootSuite recommends rotating your ad every 3-5 days. Also, make sure the ads are compatible with mobile devices because it is currently estimated that approximately 59% of Facebook and 81% of Twitter advertising revenue comes from mobile devices. Page likes: Build your audience by encouraging viewers to like your business page or product page. The more likes you generate, the more popular you appear on Facebook. Popularity begets an increase in sales and a consistent audience for which to share your offers and incentives. Go for offers: Speaking of offers and incentives, there’s no better way to reach new leads than to offer them something they really want. A vacation, free item or a discount to your brick and mortar store – no matter what the offer, chances are your fans will jump all in for it. It’s recommended to target the offer or incentive to your page’s fans first and then, once successful, cast a wider net to the rest of the population. Offer a mobile app: Mobile advertising is on the rise – and so are mobile apps. Promoting your mobile app via Facebook is an innovative way to reach a new audience. Create a call to action: Use Facebook to create an individualized call to action for your brand or product. Inserting verbiage in a post is a creative way to get your ad in front of new eyes. Make sure your headline is addictive to draw attention. There are a few items to consider before placing an ad on Facebook. One is how much you want to spend on the campaign. It is possible to choose from a number of different bid setups, including clicks, impressions, or your desired objective (e.g., Facebook page likes). Then, it’s time to decide whether to use the daily budget or lifetime budget feature. A daily budget controls how much you will spend on a specific campaign per day. Your ads and sponsored stories stop showing once you hit your daily ad budget, helping your budget Facebook advertising rates based on each daily cycle. Lifetime budget lets you select how much you want to spend over the entire span of time a campaign is scheduled to run. Once you have this all figured out, upload your ad campaign(s) and watch the results roll in. For additional information, reference #TweetTip to access real-life examples from small and medium-sized businesses during a monthly event series. The need for speed: It is estimated that tweets using phrases like “hurry,” “fast,” “now,” “quick,” “running out,” “supplies last,” and “limited time” see a 10% lower cost-per-acquisition (CPA) and a 10% higher link click rate (LCR). Offer discounts: Offering a promo code or discount code via tweet is a great way to capture interest in prospective buyers. Keep it fresh: Tweets that mention “new” products or services achieve on average a 10% lower CPA and a 26% lower cost-per-link-click (CPLC) rate. Use the hashtag: Don’t be afraid of the hashtag. 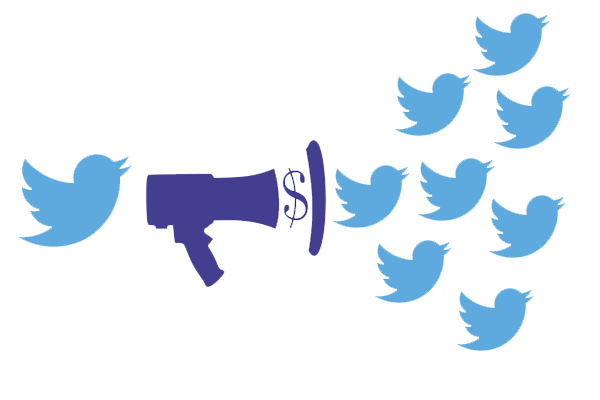 Promoted Tweets with hashtags on average gain a 24% higher CPA and a 3% lower LCR. Eye on the prize: Offering a chance to win a reward gains interest almost automatically. Tweets that advertise a prize or competition with words like “win,” “contest,” or “sweepstakes” have a 40% lower CPA and a 1% lower CPLC. Ask a question: Get more leads by involving people in your ad copy. Ask a question and ask for tweets to answer it. For more information on Twitter advertising campaigns, see the Conversions Campaign page or check out the Optimizing Twitter Ads page. LinkedIn usually gets the short stick in the media when compared to Facebook or Twitter, but it really shouldn’t. This social site is a highly-targeted communications dream with a reach of more than 259 million members worldwide. LinkedIn allows businesses the ability to target leads by job title, employer, role, skills, and interests, and LinkedIn profiles contain more detailed and up-to-date professional information compared to what people list on their personal profiles on Facebook or Twitter. LinkedIn’s self-service advertising platform has a similar feel to those offered by Google and Facebook in that it allows the user to design different types of ads, create logical groupings, define bids for specific campaigns, and measure performance with metrics such as impressions, clicks and conversions. Now go to the LinkedIn Ads login page and click on “Get started.” This will present you with two types of campaign options: (1) Create an ad; (2) Sponsor an update. Select your campaign name, ad language, and media type. Then, select your ad destination, ad design, and ad variations. Once you’ve completed these steps, you may select your target audience(s). LinkedIn offers two basic pricing models: CPC (cost-per-click) and CPM (cost per 1,000 impressions). The cost-per-click model has a minimum CPC of $2 – which definitely makes it a higher cost network than Google or Facebook. LinkedIn also offers a suggested bid range to reach the top position. Ultimately, you have to decide the best option for your brand or business (it is possible to start with as little as $10/day). It is estimated that nine out of 10 companies are currently active on social media with approximately 80% of them hiring their own social media teams. Regardless of which of the three social networks you choose (if deciding on one over the other vs. using all three), it’s a win-win for modern day advertising. Go a step further by signing up for Snitcher – a web-based data collection service that monitors and records the businesses and individuals visiting your site. Use Snitcher to filter and segment your generated leads and turn them into profit-making machines. Manage leads as a team and integrate the program with resources you’re already utilizing to streamline the process. A basic membership starts at $24/month with sales and marketing at $44/month, a complete membership at $54/month. Try Snitcher for free for 14 days.